It’s true! We have a YouTube Channel that is full of informational videos about our state-of-the-art Complete Finishing Systems for manufacturers. From the easy maintenance of our unique friction-driven conveyors to system designs you’ll find everything you may be looking for. Our 3D animation is one of the most popular videos on our channel and we have just recently added a mix of the same animation with real footage of the actual system featured in this month’s issue of Products Finishing magazine. Be sure to visit IntelliFinishing’s YouTube channel to see them all. 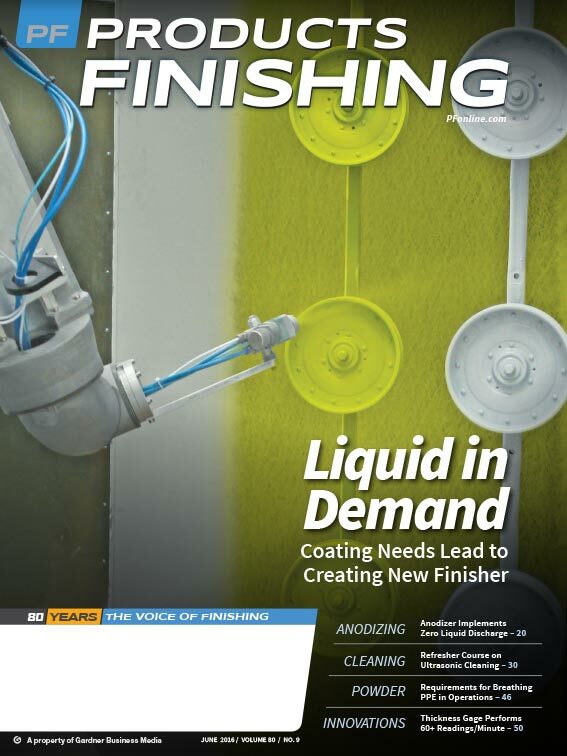 We made the cover of Products Finishing Magazine for June 2016! Read about our newest installation at Albers Finishing & Solutions of Cheney, KS in the magazine this month. 684 feet of conveyor was installed in this new liquid paint facility with an Open House held in March. Along with the conveyor system, the IntelliFinishing system that was installed included a 3-stage wash, dry-off oven, two paint booths equipped with Fanuc robots and the capability of handling up to 500 pounds of weight on each load bar. Additional services they plan to add include powder coating and anodizing. Read more in the article from PFonline.com.